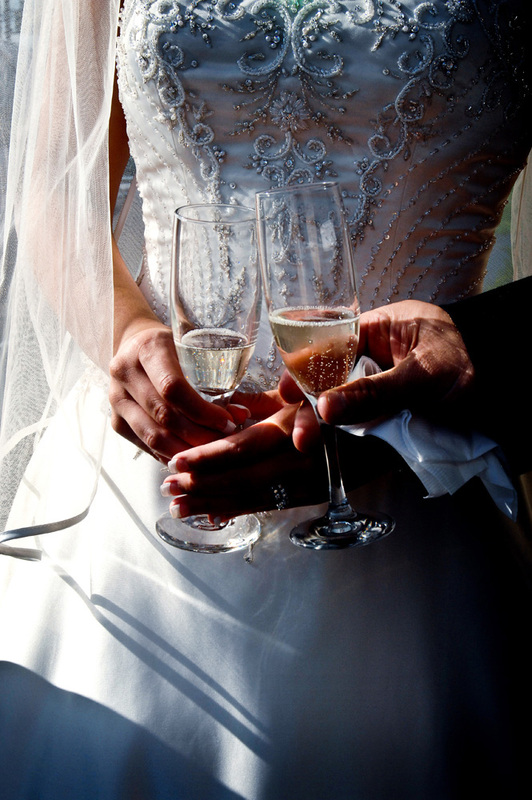 Chicago Wedding Photographers Frequently Asked Questions. Our FAQ database contains many frequently asked questions from our clients and website visitors. A highlight of our FAQ categories include: Photography Experience, Photography Equipment, Wedding Starter Kit Inclusions, Photography Add-on Products, Photography Deposits and Payments. Question: How many years of experience do you have? Answer: Loftus Photography was officially established in January 2003. However, Dan and Dawnelle have been freelance photographers for over 10 years and have worked for the larger studios. Question: How many weddings have you photographed? 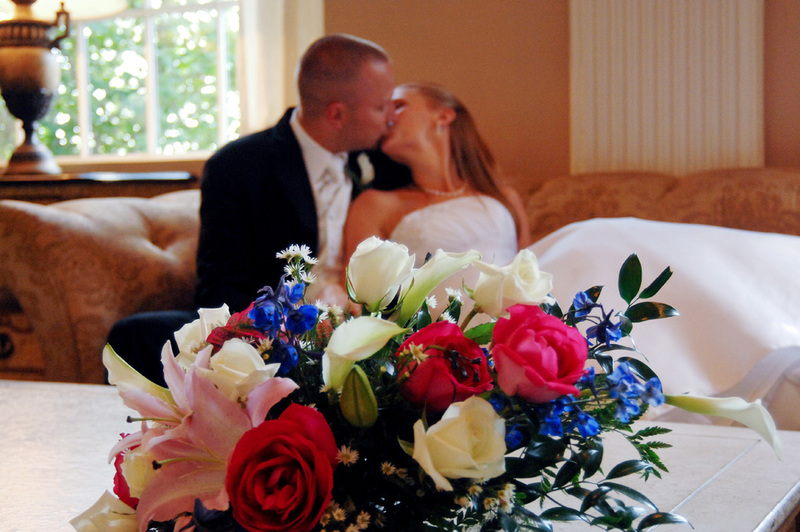 Answer: Under the LOFTUS PHOTOGRPHY banner , we have photographed over 100 weddings. Question: Can you provide a list of photography references? Answer: Yes. You can get our wedding references once you have submitted a quote request and you have been set up with a client login ID (these can be viewed in your personal Communications Center). Question: Where is your photography studio located? Answer: We work out of our home studio in Lombard, IL. Consultations are by appointment only. Question: Do you perform photography full time? Answer: Dawnelle performs photography and manages operations full time. Dan is part time and perform business management consulting as well. Question: At what locations have you photographed? Answer: A list of all the venues we have photographed in the Chicagoland area can be found on the "Ask Kathleen" page on our main website. Question: Do you shoot with film or use digital? Answer: We shoot 100% digital these days as it opens up a world of possibilities with wedding and special event photography. Question: What professional cameras do you use? Question: Do you have "back ups" for your photography equipment? Question: The church we are getting married in is very dark, can your photography equipment handle dark situations? Answer: Absolutely. Digital cameras perform the same way as film cameras. We can adjust the ISO, Aperture and Shutter Speed depending on the light situation. In most cases, religious ceremony don't allow for flash photography during the ceremony. For these situations, we use tripod mounted cameras with a higher ISO (if necessary), larger aperture, and slower shutter speed. Again, this is the same with film cameras. Question: Do you shoot in RAW format? Answer: We shoot a combination of RAW and the highest resolution .jpg depending on the situation. For formal portraits, we shoot raw...for candids we shoot high resolution .jpg. Question: Do you offer traditional wedding packages? Answer: No. We believe pre-defined packages limit the flexibility of our clients. Our Wedding Starter Kit along with our competitive ala carte program will allow you to build "your own custom package" which will meet your specific needs. Question: As it relates to "unlimited exposures", how many pictures can I expect from my wedding? Answer: This is a tough question to answer because it will depend on many things: the number of attendants in your wedding party, the number of locations you want photographs at, the length of the ceremony/reception, and the number of guests...just to mention a few. However, for the average wedding, you can expect approximately 100 exposures per hour of service. For example, if your service is for 6 hours, you can expect approximately 600 exposures to choose from...if your service is for 8 hours, you can expect approximately 800 exposures to choose from. Question: How much do you charge for additional hours of photography service? Answer: We charge our standard hourly rate. See our "Prices" page for current prices. Question: Do you provide backdrop & lighting for formal portraits? Answer: We can provide our portable studio for an additional charge (see "Prices" page). We need a minimum "footprint" of 10' x 10' to set up our backdrop and lighting and will provide this at the reception location. Backdrop portraits will hold groups up to 4 people. For larger group shots, we will find a suitable location. Question: Do you provide "Photojournalistic Photography"? Answer: Yes. We always "blend into the background" so as to capture the best candids available. Today's term of "Photojournalistic" is yesterdays term of "candid"
Question: Do you provide "Black & White Photography"? Answer: Yes. You will have a choice of color, black & white, and sepia from all the exposures we take. All three of these color options will be viewable from your personalized web gallery. Question: Do you offer printed proofs? Do we get to keep the proofs? Answer: No. We do not offer traditional printed proofs. Our proofing system is on-line where you and your guests will be able to see all the photos from your wedding within only 7 Days. This allows us to keep your costs down by not having to print all the exposures. You do, however, have the option to print "Contact Sheets" (12 photos per page) from your on-line gallery. This functionality is available to the bride and groom only. Question: What are the "Photo Viewing Invite Cards"? Answer: So that everyone can have an opportunity to see the photos from your wedding, we create custom "invite cards" that will invite your guests to view your photos on-line in a password protected gallery. Question: Can we print photos from the Digital Photo Album CD? Answer: No. The images on the CD are encrypted. The Digital Photo Album is intended for viewing only. Question: I'm confused about your "Famous 50 Cent 4x6 First Runs". Can you explain a little further? Answer: This program allows the bride and groom to order their first set of 4x6 prints for only 50 cents each. No matter how many 4x6s you order on your first order, you pay only 50 cents each. All subsequent orders will be charged at our standard print prices. Question: What do you charge for prints? Answer: See your specific quote for pricing. Question: Do I pay for prints and add on products prior to my wedding or after? Question: Do you offer photo DVDs set to music for viewing on a TV. Answer: Yes. We offer customized DVDs set to music which transition from one picture to another using different transitioning effect. For standard weddings, we separate out the DVD slide shows into "Pre-Wedding", "Ceremony" and "Reception"
Question: Do you offer graphic design or special effects? Answer: Yes. The world of digital photography opens the door to many possibilities and we will make recommendations on which photos would be best for each different technique. Question: Do you offer traditional wedding albums? Answer: Yes, but we do it in a much different way than traditional photographers. We allow you to go to our vendor direct, purchase the albums direct, and build them yourselves. This will allow you to save money from having an expensive hourly rate added to the cost of your album. If you would like, however, we will build your album for you using our standard hourly rate. An average wedding album usually takes approximately 2 hours to construct. Question: Do you offer coffee table books? Answer: Yes. The world of digital photography allows for creative, customized books to be made. Question: I know your standard time for displaying galleries on the web is three months. What if I wanted my photos up longer than that? Answer: Not a problem. Gallery extensions are available for only a small fee. See our "Prices" page for more details. Question: Do we get to keep the negatives? Answer: The high resolution digital negatives (high resolution .jpg files) are available for a fee immediately after your wedding (which includes ALL of your exposure). Question: Do we get to keep the proofs? Answer: We do not offer printed proofs. Our photo proofing is done via a password protected web site where you and your guests can view all of the photos from your wedding and have a chance to purchase them directly on-line. Question: What is the deposit amount to book my date? Answer: We require a 30% deposit to book and hold your date. The remainder of the balance is due on your wedding day via check or money order. Deposit is refundable up to 14 days after receipt of deposit. Question: Will you save the date for me if I don't submit the contract and deposit? Answer: Our booking system is on a "first come, first serve" basis. Whomever submits their contract along with their deposit first is the one which we will book. © Copyright 2010. Loftus Photography - A Norttus, LLC Company. All Rights Reserved.